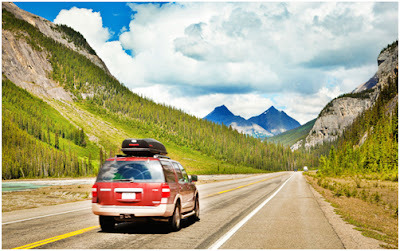 PolicyNation: Keep your vehicle safe, dependable and on the road longer! Keep your vehicle safe, dependable and on the road longer! It’s not always easy to recognize when your vehicle is suffering from engine damage as symptoms can be overlooked and seen as “normal.” While not all sounds and smells may threaten the life of your engine, there are some obvious warning signs that require a vehicle inspection right away, according to experts. One of the signs of engine trouble is an illuminated check engine light. This light indicates that a vehicle system, such as the ignition, fuel injection or emission control, is not operating properly, even if the vehicle appears to be running normally. Ignoring the check engine light can negatively impact your fuel economy or cause damage resulting in more costly repairs. Many motorists are familiar with the noises their vehicles make on a daily basis. However, any noise that is new, different or suspicious may indicate a problem, including a high-pitched squeal, grinding or thumping. Sounds under the hood, such as hissing, can also indicate that your vehicle is in need of attention. Although all cars burn fossil fuels that create undesired emissions, these odors should remain outside of the car. Unusual smells that could signal engine damage include: burnt rubber, hot oil, gasoline, sweet smell of syrup, burning carpet and rotten eggs. When you smell any peculiar odor, you should not ignore it. Another symptom of engine damage is excessive amounts of smoke or steam. Although some smoke is normal, excessive amounts of dark smoke in particular indicates that oil is leaking into the combustion chamber and is being burned along with the gasoline. There are many apps available to help you stay on track with essential auto care intervals, download one. Policy Nation believes in promoting the benefits of regular vehicle care, maintenance and repair for the safety of everyone on our roads.